Congratulations to Kerry-Lee Powell (Moncton, NB) on winning the 2013 Far Horizons Award for Short Fiction with her entry, “Palace of the Brine.” The Far Horizons Award celebrates the achievement of emerging writers who have yet to publish their fiction in book form. Read an interview with Kerry-Lee Powell by Malahat volunteer Stefan Krecsy on her winning story, "Palace of the Brine". Read Alissa York's interview with Malahat volunteer Will Johnson about her search for the Far Horizons Award winning entry. Kerry-Lee Powell, winner of the 2013 Far Horizons Award for Fiction! Kerry-Lee Powell was born in Montreal and grew up in Antigua and the United Kingdom, where she obtained a BA in Medieval and Renaissance Literature and a Master’s Degree in Writing and Literature from Cardiff University. Her work has appeared in The Spectator, Magma, and The Boston Review. She is the 2011 winner of The New Quarterly's Nick Blatchford Occasional Verse Contest and was recently nominated for a National Magazine Award and a Pushcart Prize. In 2013, she won The Boston Review fiction contest and the Alfred G. Bailey manuscript prize. Her debut collection of poetry is forthcoming from Biblioasis Press in 2014. She is currently writing a novel. Visit her website at www.kerryleepowell.ca. 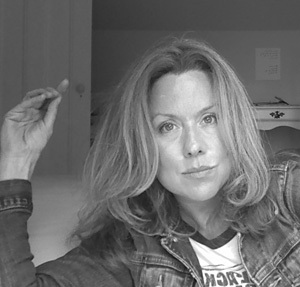 Alissa York’s internationally published novels include Mercy, Effigy, (shortlisted for the Scotiabank Giller Prize) and, most recently, Fauna (shortlisted for the Toronto Book Award). She is also the author of the short fiction collection, Any Given Power, stories from which have won the Journey Prize and the Bronwen Wallace Award. Her essays and articles have appeared in such periodicals as The Guardian, The Globe and Mail, Quill & Quire and Eighteen Bridges. Alissa has lived all over Canada and now makes her home in Toronto. For more on her work, visit www.alissayork.com. Stay tuned for an interview with Kerry-Lee Powell in September, 2013. Emily Davidson, "The Vacation Rules"
Sarah Gignac, "The Day Nothing Happened (But Everything Changed)"
Nola Poirier, "Super Organic Social Theory"
The deadline for our next Far Horizons Award for Short Fiction will be May 1, 2015.